Hello and welcome to the Bear’s 2015 adventure! Inspired by last years west-coast of Scotland challenge, he has decided to explore the western shores of the neighbouring Emerald Isle, known to many as Ireland. 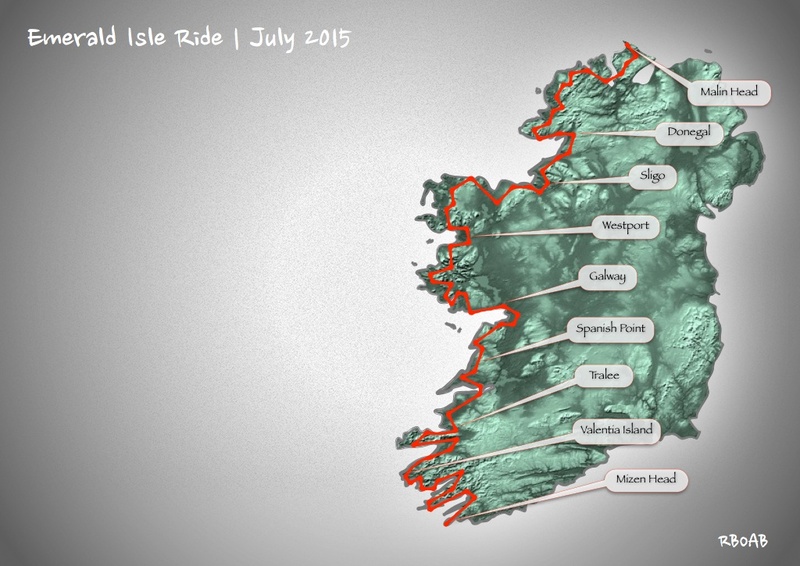 The Bear will start his journey at Mizen Head - the most Southerly point of Ireland’s mainland. He will then venture all the way to the Northern tip of the Emerald Isle to Malin Head. Obviously cycling the length of this country is not enough for the grizzly so he will make his way along most of the West-Coast to make up the mileage. The bear will be aiming to cover around 700 - 800 miles within 14 days time. As well as a personal challenge Bear’s intention is to raise funds for a great cause.